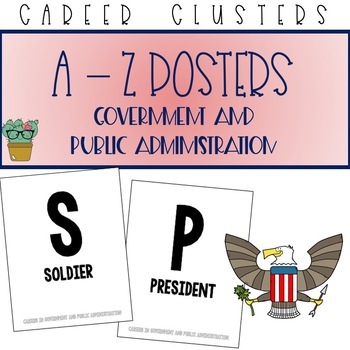 This product includes over 120 unique career posters covering the A to Z of careers in the Government and Public Administration Career Cluster. 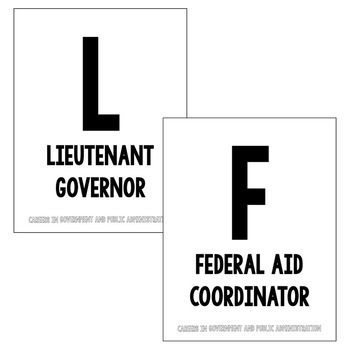 Each letter of the alphabet has at least one career poster. 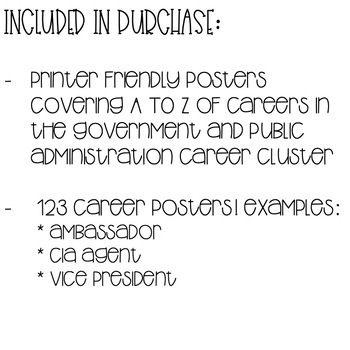 The posters can be used as decor or an activity covering the Government and Public Administration Career Cluster. They would also be a great addition to a word wall!